We will be burning audio CD’s using iTunes. 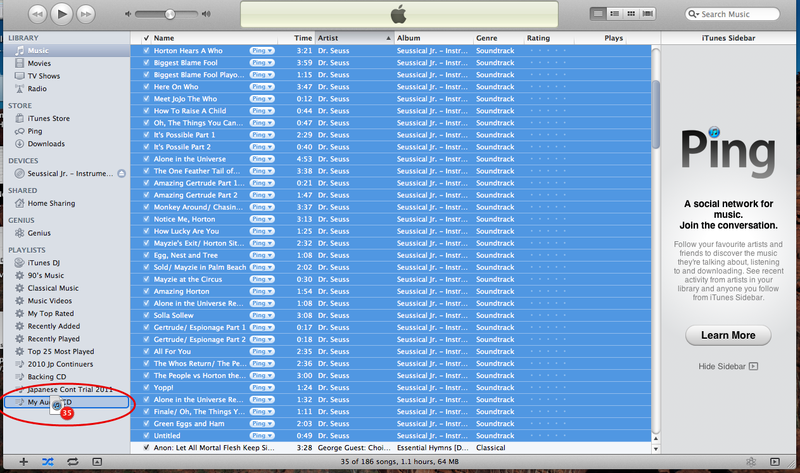 If you want to find out how to import CD’s into itunes, see this article. 2. In the bottom left corner, click the plus (circled in red below) to create a new playlist. 3. Call the playlist whatever you want your CD to be called (circled in red below). 4. 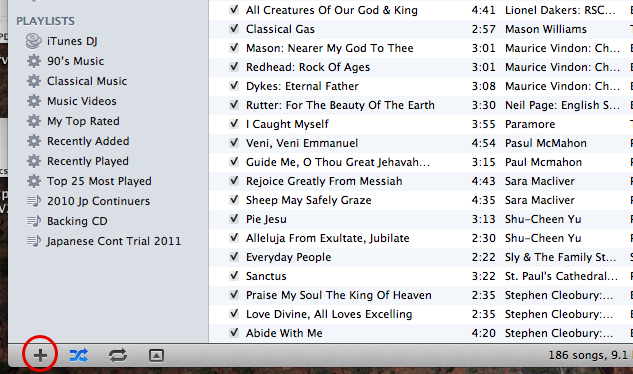 Click on ‘Music’ under library in the top left of itunes. Select all the tracks you want to add to your audio CD. You can do this by either holding down ‘ctrl’ and clicking on each individual track so they come up highlighted in blue, or you can click the first track then afterwards, holding down the ‘shift’ key; click on the last track, which will select all the tracks between those two. Once you have the track selected you want, click and hold over the top of any of the blue selected tracks, then drag over the top of the name of the playlist you created in the bottom left corner (circled in red below). 5. Click on your playlist again in the bottom left and you should see all the tracks appear within it. 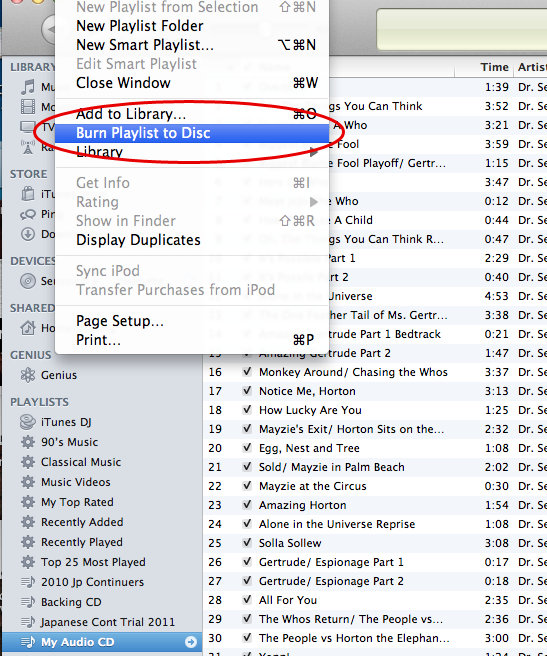 Click on the file menu, then click ‘Burn Playlist to Disc’ from the menu (circled in red below). 6. 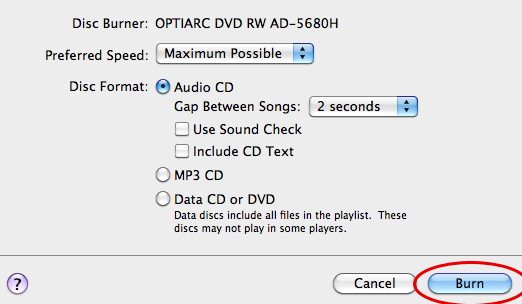 Insert a blank CD into your computer, then click Burn (circled in red below). The progress will be displayed in the green box at the top of itunes. NB: In the future if you wish to re-burn these audio CD’s, you only need to open that playlist again in itunes and perform these last two steps.